A wall of a residence in the 300 block of New Salem Street was reported vandalized by spray paint on July 30. A battery of an automobile parked in the 2700 block of Western Avenue was reported stolen on July 31. A 52-inch Samsung flat-screen television valued at $2000, a 32-inch flat-screen television valued at $500, a 15-inch Craig flat-screen television valued at $159, a 24-inch Samsung flat-screen television valued at $200, and a Dell laptop computer valued at $2000 are among items reported stolen from a residence in the 100 block of Hay Street on July 31. A man told police that while walking home on July 31 at 1:50 AM from a Matteson business, he was approached by a man who asked him, "What you got?" The man told the subject that he didn’t have anything and pushed the subject, causing him to fall to the ground. The man then ran off when two more subjects jumped from behind the car. One of the subjects kicked the man on his right thigh, according to police, but the man said he did not fall over and continued running. While he was running, he grabbed his wallet from his pocket and threw it back toward the three subjects. They stop following him and went after the wallet. Detectives are investigating. A 40-inch flat-screen Dynex television valued at $700, a 46-inch flat-screen Dynex television valued at $700, an Xbox 360 game system valued at $200, and a Sony PlayStation three valued at $200 are among items reported stolen from a residence in the 100 block of Monee Road on August 1. A package containing a sterling silver ring valued at $127 was reported stolen from outside a residence in the 300 block of Oakwood Street on August 1. 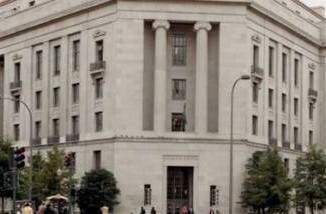 A juvenile was petitioned to juvenile court on a charge of theft when police were dispatched to the 200 block of Ash Street to investigate a report of theft. A resident reported seeing the juvenile take a package that had been delivered to another residence, according to police. A 40-inch flat-screen television, two gold chains valued at $100 each, and six gold chains valued at $500 were reported stolen from a residence in the 400 block of Wildwood Drive on August 1. Robert J. Catlett, 63, 350 Juniper St., Apt. 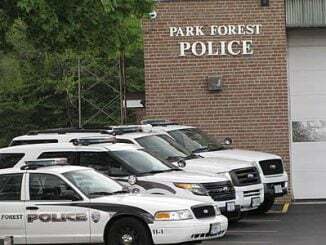 1005, Park Forest, was arrested on August 1 and charged with assault and possession of ammunition while his FOID card was revoked when police responded to the 300 block of Juniper Street in reference to a report of an assault. Police were dispatched to a residence in the 200 block of Arrowhead Street on August 1 to investigate a house alarm activation. Police say nothing was reported stolen from the residence, but a door had been forced open and a window on the West side of the residence was out of place, and a concrete cinderblock was set up under the window, according to police. Police say two women walking near the intersection of Illinois and Indiana Streets were sprayed in the face with mace on August 3. Police say that while the women were walking, an unknown vehicle pulled up next to them. The driver, without provocation, stuck his arm out the window and sprayed the women in the face. Police are investigating. Police say a woman out for a walk in the first block of Fir Street at 10 PM on August 2 was approached by two or three male subjects who struck her in the forehead. The woman fell to the ground and told police she does not know how she got back to her residence. An officer was dispatched to St. James Hospital on August 3 to meet with the victim and take a report. George J. Perkins, 18, 382 Sauk Trail, Park Forest, was arrested on August 3 and charged with possession of cannabis when police were dispatched to the 300 block of Sauk Trail to investigate an anonymous complaint regarding a subject who appeared to be going through the window of a residence on Sauk Trail. An air-conditioning unit and approximately 6 1/2 feet of copper piping were reported stolen from a residence in the 200 block of Arrowhead Street on August 3. Police were dispatched to a residence in the 100 block of Washington Street on August 3 to investigate a report of domestic battery. Police are investigating. Two flat-screen televisions were reported stolen from a residence in the 100 block of Washington Street on August 4. Police say a suspect attempted to rob a man delivering pizza to a residence in the 300 block of Jackson Street on August 4. Police say approximately $5200 cash was stolen from a residence in the 300 block of Marquette Street on August 4. A Dell laptop computer was reported stolen from a residence in the first block of Indianwood Boulevard on August 4. 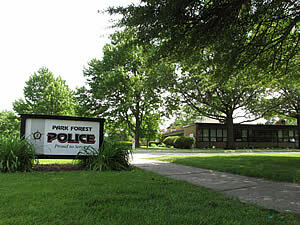 An officer was dispatched to the Park Forest Police Department on August 4 to investigate a report of domestic battery. Police met with a female victim who had a large, circular abrasion on her left shoulder. Police are investigating. A white refrigerator valued at $250 was reported stolen from a residence in the 300 block of Windsor Street on August 5. A purse was reported stolen from a church in the 400 block of Indianwood Boulevard on August 5. A blue and silver Mongoose bicycle with silver pegs in the front and rear, valued at $100, was reported stolen from a residence in the 100 block of Well Street on August 5. A window of a residence in the 300 block of Oswego Street was reported shattered on August 6. A black computer, a 26-inch Vizio flat-screen television valued at $400, and a 32-inch flat-screen Sceptre television valued at $400 are among items reported stolen from a residence in the 200 block of Allegheny Street on August 6. Damien I. Weston-George, 31, 1950 W. Lawrence St., Chicago Heights, was arrested on August 6 and charged with possession of cannabis, driving with a revoked driver’s license, operating an uninsured motor vehicle, and failure to signal a turn when an officer patrolling in the area of Western Avenue and 26th Street observed the vehicle Weston-George was driving change lanes from the center lane to the curb lane of Western Avenue without using a turn signal, according to police. A gray Craftsman lawnmower valued at $100 was reported stolen from a residence in the 200 block of Juniper Street on August 6. 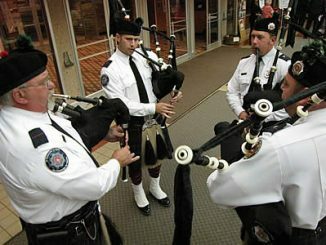 Approximately $100 of copper piping was reported stolen from a residence in the 200 block of Arcadia Street on August 7.